Down long private drive off Mershon, tons of space bring kids, animals, toys, you name it - perfect country living with over 4500 living asf total 5187 asf. 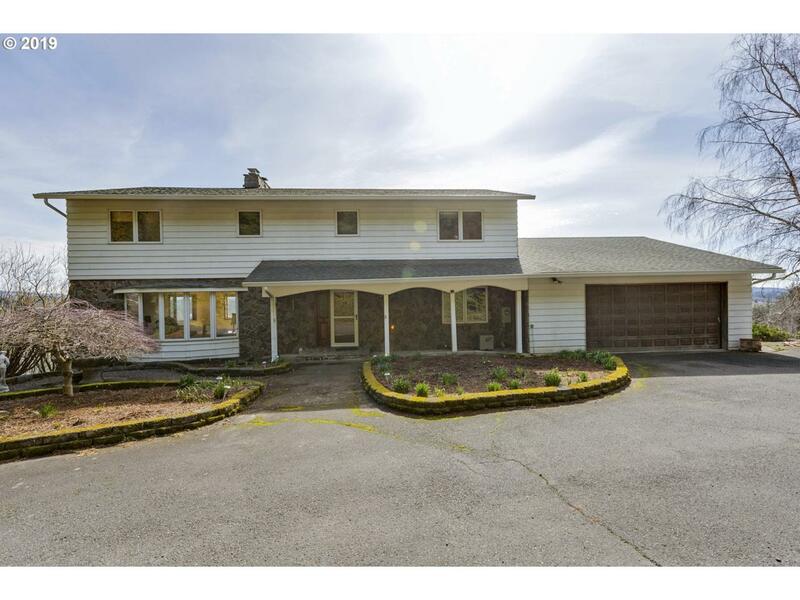 8.6 total acres fenced & cross-fenced w/3 sep tax accounts views of Mt Hood, Mt Jefferson and 180 degree view of the Sandy River Valley from 3 spacious decks. 5+ beds full basement with sep entry, perfect multi generational living. Two garages, barn with loft stalls, its all here.